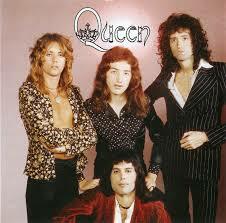 Queen – Bring Back That Leroy Brown. Publicat pe 13 iunie 2015	de Cristi M.
On 23 November 1991, in a prepared statement made on his deathbed, Mercury confirmed that he had AIDS. Within 24 hours of the statement, he died of bronchial pneumonia, which was brought on as a complication of AIDS. His funeral service on 27 November in Kensal Green, West London was private, and held in accordance with the Zoroastrian religious faith of his family. „Bohemian Rhapsody” was re-released as a single shortly after Mercury’s death, with „These Are the Days of Our Lives” as the double A-side. The music video for „These Are the Days of Our Lives” contain Mercury’s final scenes in front of the camera. The single went to number one in the UK, remaining there for five weeks – the only recording to top the Christmas chart twice and the only one to be number one in four different years (1975, 1976, 1991, and 1992).Initial proceeds from the single – approximately £1,000,000 – were donated to the Terrence Higgins Trust.